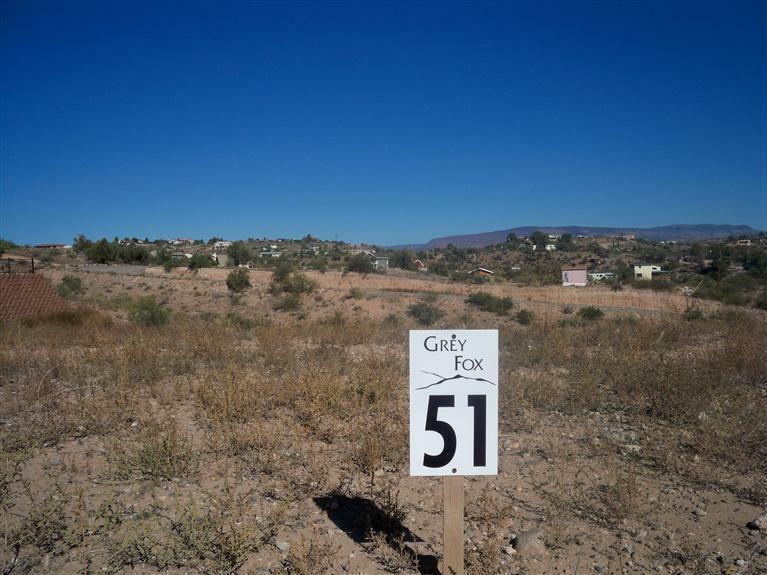 Grey Fox Ridge is a unique 99 lot, 22 acre Energy Star residential community with green features. It is the only one of its kind in Northern AZ. Hiking trails empty into land that leads to the Verde River and Historic Old Town Cottonwood. Once you have built your home the front yards are maintained by the association and all of the outside water from the HOA well is included in the HOA fees at no additional cost. Minimum 1300 SF HLA, restrictions apply to construction, refer to CC&R's. Decorative wall fencing in some areas throughout the development are for retention and privacy.If sold as a Land/Home Pkg then Buyer Broker Commission to be 3%.